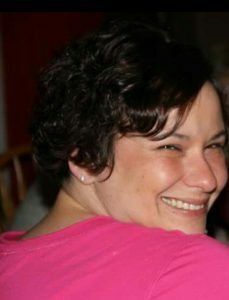 Caree Olson, 36, of Leigh, died Monday, October 31, 2016, in Dodge, Nebraska. Funeral Service Friday, November 4, 2016 10:30 A.M.
Caree was born May 3, 1980, in Onawa, Iowa to Michael and Kathee(Ruebendall) Price. She attended school and graduated from MVAO High School. She then went on to Nurses School at Western Iowa Tech College in Sioux City, Iowa where she received her RN degree. On September 22, 2001, she married Mike Olson at St. John's Methodist Church in Mapleton, Iowa. They lived in Mapleton for 10 years and then moved to Leigh. Caree worked at the Stanton Nursing Home for many years and recently was employed at Parkview Nursing Home in Dodge. She is survived by her husband Mike, daughter Rylee and son Jared, all of Leigh, her father Mike Price and brother Corey Price of Mapleton and an aunt Connie Johnson. She was preceded in death by her mother, Kathee Price, grandmother, Connie Moat and uncle Gary Johnson.